428 pages | 1 B/W Illus. 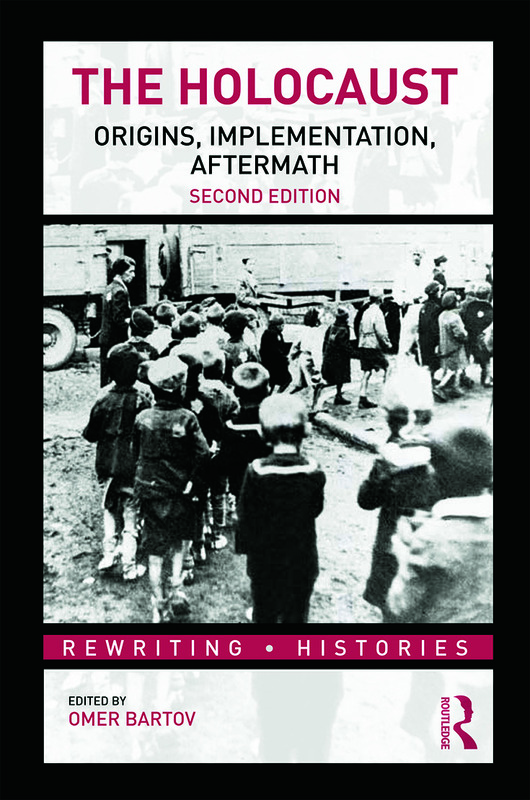 Containing an almost entirely new selection of texts, this second edition of The Holocaust: Origins, Implementation, Aftermath presents a critical and important study of the Holocaust. Many of the pieces challenge conventional analyses and preconceived notions about the Holocaust, whether regarding genocidal precedents and the centrality of antisemitism, the relationship between ideological motivation and economic calculations, or the timing of the decision on the Final Solution. Starting with the background of the Holocaust and focusing on colonial violence, antisemitism and scientific racism as being at the root of the Final Solution, the book then examines the context of the decision to unleash the genocide of the Jews. Several powerful texts then provide readers with a close look at the psychology of a perpetrator, the fate of the victims – with a particular emphasis on the role of gender and the murder of children – and the impossible choices made by Jewish leaders, educators, and men recruited into the Nazi extermination apparatus. Finally, there is an analysis of survivors' testimonies and the creation of an early historical record, and an inquiry into post-war tribunals and the development of international justice and legislation with a view to the larger phenomenon of modern genocide before and after the Holocaust. Complete with an introduction that summarises the state of the field, this book contains major reinterpretations by leading Holocaust authors along with key texts on testimony, memory, and justice after the catastrophe. With brief discussions placing each essay in historical and scholarly context, this carefully selected compilation is an ideal introduction to the topic and essential reading for all students of the Holocaust. "In this sophisticated anthology, Omer Bartov has assembled an outstanding sampling of research literature illustrating some of the most fruitful new directions in studying the Holocaust that have emerged during the last decade. These academic writings are supplemented with important primary sources illustrating many of the problems of interpretation with which contemporary scholars are grappling. The Holocaust offers students a fine introduction to a complex subject." "…outstanding. Professor Bartov has selected instructive, clearly written articles of the highest quality by leading scholars in Third Reich and Holocaust Studies that deftly combine historiography, narrative and argument. This volume will engage university students and generate important discussions." Decision-making in the "Final Solution"
Omer Bartov is the John P. Birkelund Distinguished Professor of European History and Professor of History and German Studies at Brown University and has written on the Holocaust, Nazi Germany and modern genocide. His books include Erased: Vanishing Traces of Jewish Galicia in Present-Day Ukraine (2007), Germany's War and the Holocaust: Disputed Histories (2003) and Mirrors of Destruction: War, Genocide and Modern Identity (2000).